With so many birth place options in the Dallas Fort Worth Metroplex, it can be hard to decide where to have your baby. We have been featuring some of the most mother and baby friendly places to give birth in DFW to make it easier to find just the right hospital or birth center for you. 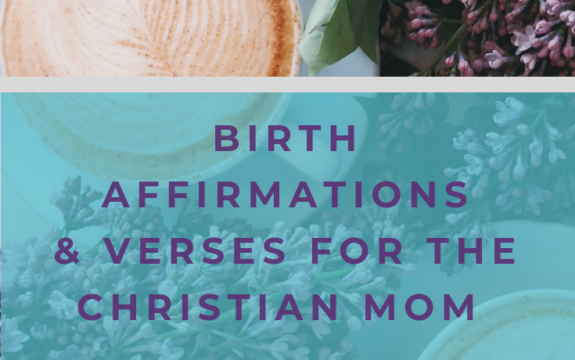 The birth center we are focusing on today is especially near and dear to my heart because these midwives attended the birth of my fourth baby. Throughout my pregnancy I always felt that they supported my decisions and treated my family with compassion and respect. I loved my birth with them and can’t wait to share them with you all! 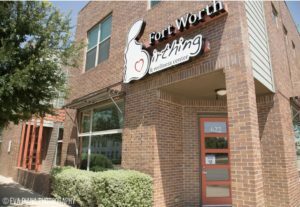 Today’s article was written with local DFW childbirth educator & doula, Andrea Brannock, who is going to help us get to know Fort Worth Birthing & Wellness Center (FWBC) in Fort Worth, Texas and fill us in on what makes it such an wonderful place to have a baby. Q: Tell us about the atmosphere at FWBC. What are the delivery rooms like? A: I love walking into Fort Worth Birthing & Wellness Center. You instantly feel that you’re in a place of love, peace, and calm. The midwives and staff have done an amazing job of making it a place that is comfortable and welcoming. There are two large birthing suites, each styled differently. One has a glamorous feel, while the other one has a more rustic style. They both are very comfortable and home like with plenty of space in each room, including private bathrooms and kitchens. 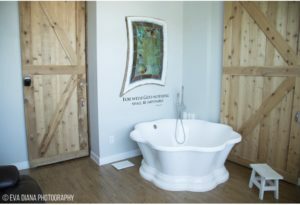 The birth suites are both upstairs and the prenatal rooms and family friendly waiting rooms are downstairs for privacy. Q: Tell us about the providers who attend births there. A: The midwives that attend the births at Fort Worth Birthing and Wellness center are all Certified Nurse Midwives, meaning that they were first nurses and then they received either a master’s or doctorate degree in nursing with a specialty in midwifery. This makes them unique because they can offer clients an out-of-hospital birth experience, while also having access to medication or antibiotics, if necessary. Each of the four midwives really care about their clients. The midwives take the time needed to support, encourage, and love on their clients. I’ve seen them pray with families, if that is something the client wants, which to me really helps set a wonderful provider apart, giving them that extra touch of love. Q: What are some of the best features they offer for moms and babies? A: There are so many things that I love about FWBC and the wonderful things they offer. The midwives really understand the natural birth process and allow moms the time and space to labor as needed. They offer water birth as an option, on site ultrasound when medically indicated, and comprehensive family centered care. 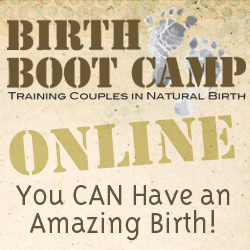 They encourage and support doulas attending the births, as well as birth photography/video. But really most of all, I just love the feeling you get while laboring and birthing at FWBC. They really do love and support their clients all the way through pregnancy, birth, and beyond. Q: Why do you love supporting moms and partners at this birth center? A: I really love the atmosphere that Fort Worth Birth Center gives. It’s so inviting and welcoming. The midwives are just fabulous. They give such wonderful care to their clients. You can see that they love their job and that they love supporting families. 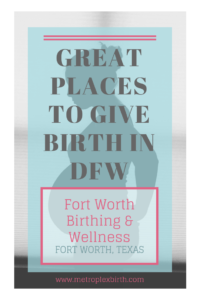 If you would like to learn more about Fort Worth Birthing & Wellness Center or schedule a tour to meet these wonderful midwives, visit www.fwbirthcenter.com. Thanks so much to Andrea Brannock for sharing all about this supportive natural birth option in Fort Worth! Andrea serves the southern Fort Worth area, as well as Tarrant county. 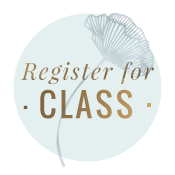 She is a Birth Boot Camp instructor, Birth Boot Camp Doula, Birth Boot Camp Instructor Trainer and Belly Binding Specialist. She LOVES what she does, especially supporting families and watching them grow. 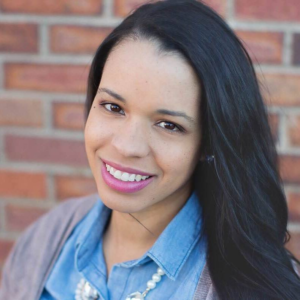 You can follow Andrea on her Facebook page or learn more about her services at www.adorebirthservices.com.